Canoe Cruisers helps paddlers get together for mutually arranged cooperative adventures to explore local rivers and streams. Come join a trip either by joining a Scheduled Trip or going on a Pick Up Trip. We have trips on Weekends, Thursdays, Sundays, Wednesday Evenings, and spur-of-the mopment Pick-Ups. To find out when these are going out, please see the Trips and Events Calendar. To receive notices of upcoming trips in your in-box, you'll need to sign up. Under the Trips & Events tab you can see how. Club trips are informal get togethers for interested paddlers. We cannot offer formal or paid guided trips for individuals, groups, corporate outings, etc. Nor can we provide equipment nor do we do trip planning for private trips. For this, contact one of our commercial Outfitters. See Trip Guidelines for a detailed description about trips coordinated through the club. Please direct questions about trips to trips@canoecruisers.org and we'll answer right away. Club members volunteer to coordinate outings throughout the year. Paddlers of all levels will be able to find outings that suit their skill level. See the Calendar page for a listing of these trips for the next several weeks. If you have children, check out Miki Komlosh's family friendly trips. You may also wish to check the schedules of other paddling clubs in the area. Often, these schedules are mutually combined. Members and non-members are welcome on CCA trips. They must have their own equipment and the appropriate skills for the rated trip difficulty. If it goes well, please consider joining the club. You can Join CCA! now or Contact Us for more information. Members and guests who join a Scheduled Trip acknowledge they have reviewed and agree to the provisions found in our Trip Guidelines. When it starts to rain and that favorite river is rising, use the Internet to find others to put together a last minute trip. Local paddlers meet, plan trips and share tips on the CCA Facebook Page, the CCA Message Board and the Monocacy Canoe Club Message Board, Paddle Prattle. If you are new to the Potomac, you will find that many of our paddling access points are on the Maryland side of the river. This is thanks the the C&O Canal National Park which runs for 184 miles along the Potomac from Georgetown in Washington, DC, to Cumberland, Maryland. The C&O Canal Association has a list of all the access points with descriptions, coordinates and Google map links. We are always looking for members to coordinate trips. 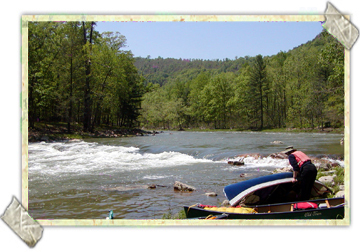 Pick a place you like to paddle and email the Trip Committee Chairman. If you are unsure what a Trip Coordinator does see Trip Guidelines. These StreamFinder Tables, which are based on Steve Ettinger's research for his book "Capital Canoeing and Kayaking", have been compiled into web format with links to gauges and other sites by Alf Cooley.